All of us owe The staff at the Dessert Shop a hearty thanks for weathering our storm. Between our geeky gathering, a flurry of families enjoying the end of half-term, and being short a staff member, they still managed to deliver some excessively indulgent milkshakes and desserts. Games were limited to a couple of games of Magic before the table filled with over-tall glasses, cheerful geeks and good conversation – and it’s not a good idea to expose board games to any of that mess. One way or another, something is going to get sticky. This month’s game on the big screen – or at least the one I brought along was Keep Talking and Nobody Explodes. Far too many of us got through that first bomb without issue so I elected to up the stakes dramatically… and apparently went too far with it, because nobody beat the second bomb. Jackbox games made an appearance later on in the evening as some of our players started to filter out, but the rest of us kept the party going for just a little while longer. At last it appears my marketing strategy of harassing anyone with a visibly nerdy streak to cross my path into coming to GeekOut is working, especially while at work! Not only was one of our new guests a familiar face to me (hi Hannah, hope to see you next month) but another claimed to also have been accosted by someone at my place of employ, someone other than me (not sure which one of you guys it was, but thanks for getting Felix along to join us). The quiz was a little shorter than average, bit of a busy month as you can imagine, but it didn’t stop the usual chorus of infuriated gasps and agonised wails of those who know that they know the answers, but just can’t seem to recall them. This month’s winners earned themselves a state of the art virtual reality headset (just add virtual reality), Murray seems to have gained an unfair advantage as a regular reader of my articles… Time to cripple his lead. We thrive on our reputation, and all of you are helping to make us bigger and bigger, simply by coming along, enjoying yourselves, and encouraging others to come along with you. Remember that as we get bigger it’s ever more important that we keep our community as welcoming as possible, and if any issues develop please make me aware of them as soon as possible… which makes it sound like something happened. It didn’t. This was yet another lovely and enjoyable month. Call it a precautionary notice now that we’re averaging closer to thirty geeks every month. Gamer’s Gauntlet is our theme for June, this month’s GeekOut is on the 28th. 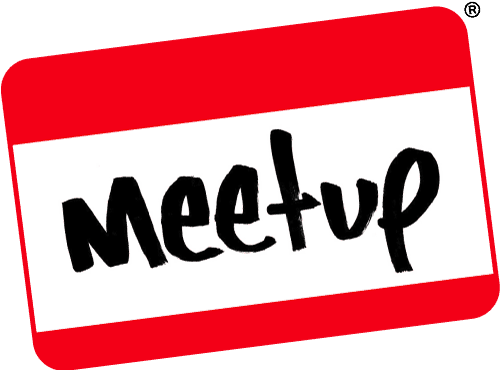 Keep an eye on Facebook and Meetup, and I will see you there. This entry was posted on June 3, 2018 by terraphi. It was filed under Events, GeekOut Meetups and was tagged with Gallery, GeekOut, GeekOut Shrewsbury, GeekOut Shrewsbury Meet, Jackbox, Keep Talking and Nobody Explodes, Montgomery's Tower, Photos, The Little Dessert Shop, Wetherspoons.